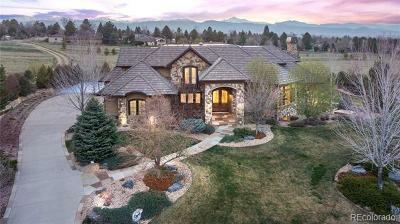 This stunning home has quality at every turn and mountain views from every window. 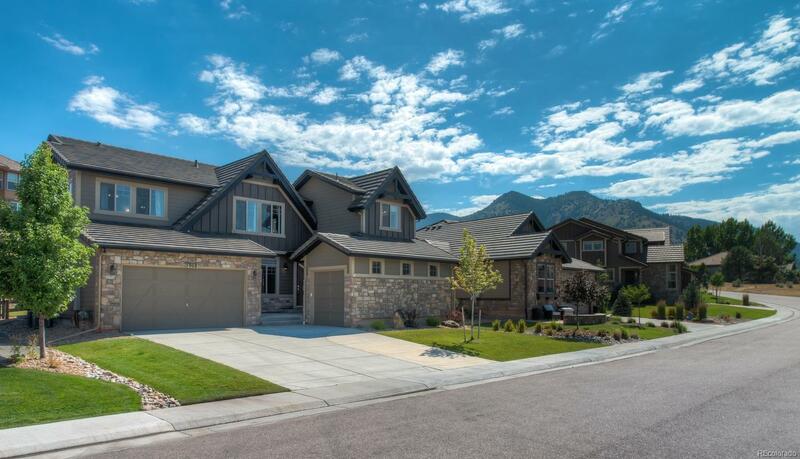 An entertainers dream with an open floor plan and striking natural light; French doors lead to the private patio with gas fireplace, perfect for cool mountain evenings. Living room boasts 14' ceilings, stunning natural light, and stone wall gas fireplace. The elegant, expansive kitchen is a chef's dream with endless counter and cabinet space, high-end stainless appliances and is flooded with natural light. To start your day, lay in bed and look at the mountains in the truly amazing master suite. Walk in the bathroom and see views of Red Rocks Amphitheater while getting ready. Dual walk-in closets are included. Cozy loft space offers flexibility to be an office or hangout spot. Large laundry room conveniently located on the 2nd floor. Walk across the street to the connector trail that leads to Turkey Creek. An easy city commute with a 5-minute drive to E-470. Don't miss this mountain living opportunity!